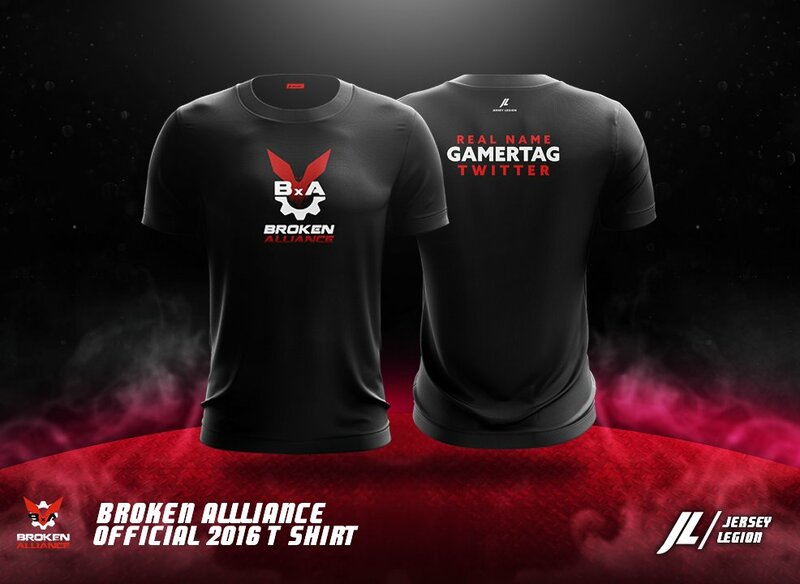 The BxA Gaming official apparel store is available on Jersey Legion’s website. 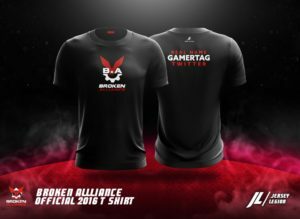 Visit: http://jerseylegion.com/collections/bxa-gaming to purchase our apparel. 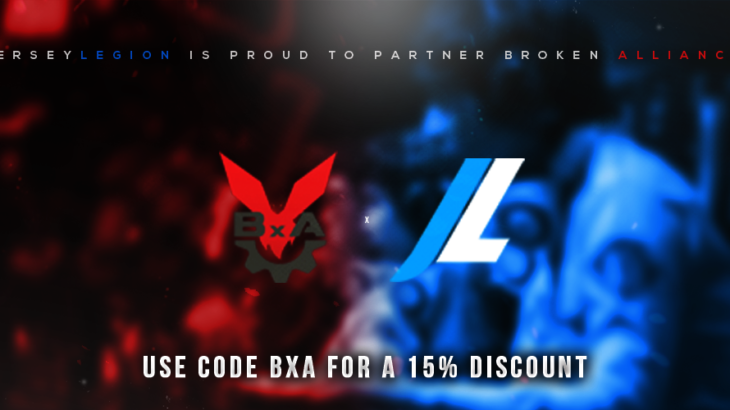 Use discount code: BxA to save 15% off your order. Currently in our store you can purchase our official short sleeve jersey, a t-shirt, and hoodie. 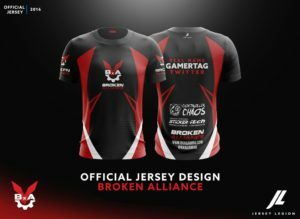 Below are previews of our jersey and t-shirt. Look for our official long sleeve jersey, snap back hat, jacket, and more apparel to appear in the store soon. 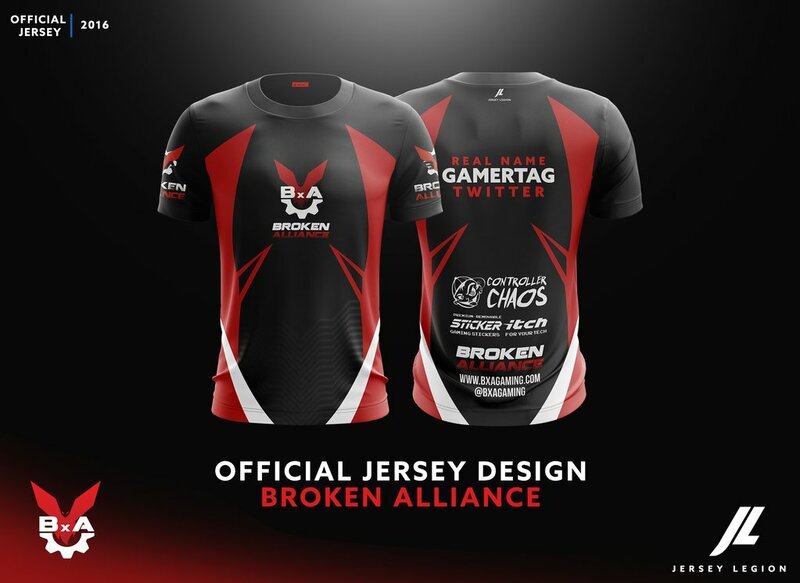 Please follow our apparel sponsor on Twitter: @JerseyLegion.